Electric cars are going to take over the automotive industry if we’re to listen to all the voices in the field today. Almost all car makers agree on this topic, investing heavily in electric motors, batteries and autonomous functions. 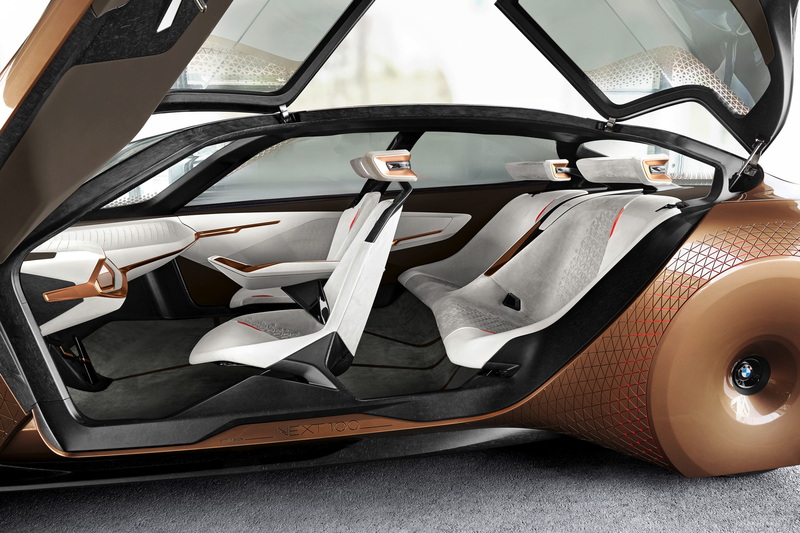 BMW is no exception and, with the unveiling of the BMW i Vision Dynamics Concept they are showing us exactly which direction they are heading into. And while the lack of an internal combustion engine already changed the design of the concepts launched so far, things will get even more different once autonomous vehicles arrive. We’re talking about real autonomous vehicles, capable of Level 5 autonomy, a goal that is yet to be reached by any automaker. These cars of the future will have to embed intelligent solutions that would allow them to prevent accidents altogether. In this scenario, all of the passive safety systems that have to be fitted to cars these days will be gone, therefore drastically influencing the design of the vehicles, according to BMW. “When cars get intelligent, they can avoid accidents – and you know how much passive safety stuff we put into our cars today. That has become a big defining factor for the sizes and proportions of the cars – for good reason as we need that safety – but if the car can take avoiding action, then maybe we can offload some of that passive safety. What we are hoping for, certainly for like a brand like MINI for example, is that we can make the cars that much more compact,” said vice president of BMW group design, Adrian van Hooydonk for Car Advice at the Frankfurt Motor Show. Until we get to see this become reality, however, electric and ICE cars will still be looking similar. The development of electric and hybrid cars can’t be done without including ICE models in the manufacturers’ range. In order to make sure cars are still profitable, most manufacturers will be developing both versions on the same, modular platforms, to make sure you can vary the powertrains and end products without having to invest heavily into research and development later down the line. Therefore, the end design of electric cars, at least for a couple of years and in the case of conventional car makers, will still be similar to the one we’ve been getting used to for the last century.